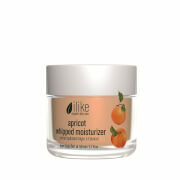 Reignite a radiant glow with ilike organic skin care AHA Fruit Peel; a detoxifying formula developed to target lack-lustre skin and promote a clear, fresh complexion. Infused with Lactic Acid and Naseberry Fruit Enzymes, the luxurious face mask effectively dissolves dead, dull skin cells, whilst combating uneven skin tone and texture to reveal a smoother, more refined appearance. Skin is energized and revitalized with restored luminosity. Use a small amount on dry cleansed skin. Apply a thin layer with your fingertips. Leave for 10-15 minutes and take off with a damp face towel. Apple, Grape, Medlar (Naseberry), Lemon Balm Oil, Lactic Acid, Fruit Acids, Malic Acid, Pectins, Kaempferol Bioflavonoids, Polyphenols, Tannins, Sorbite, Biosugars, Vitamins B, C and H, Mineral Salts, Trace Elements.